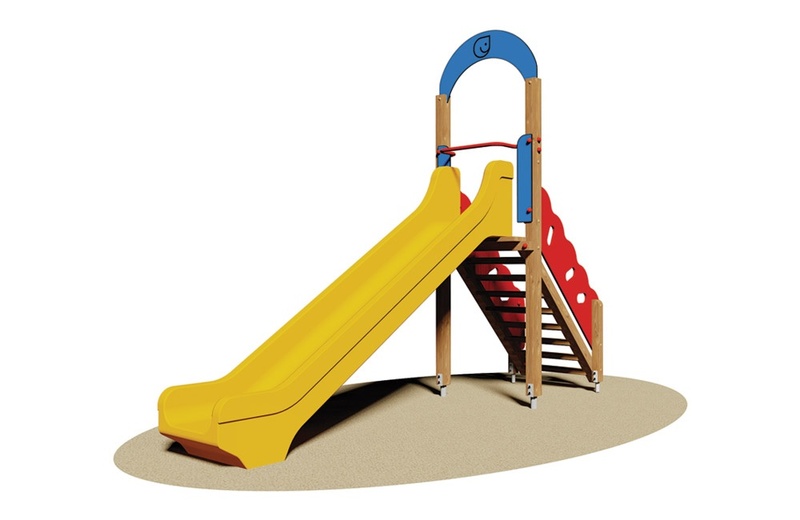 N°1 slide fiberglass h. 134 cm made ​​with multiple layers of high density resin with a track length of 300 cm. The two elements are connected to two uprights of sect. 9x9 cm at the top that are joined by a panel of mahogany plywood okoumé shaped and grooved phenolic-glued. Treatment with potting colored non-toxic paint and finished with wax-based water-soluble. Complete structure of the safety handle steel tube shaped and painted in the oven to 180 degrees.